Now, it seems that the market has returned to normal situations. I will hold the positions and wait for a good time to close. Gold: The precious metal market seems to have confirmed the top. Gold prices are likely to drop to $ 1285 and $ 1250. It is likely to fluctuate severely at 1285 levels. Silver prices are likely to fall to $ 15.3 and $ 14.8. It will fluctuate at the $ 15.3 level. Since gold and silver are moving as expected, I will hold the sell positions. Euro: People talk about dollar depreciation and also seem to expect that. I have been talking about the dollar strength. EURUSD is likely to fall to 1.1270. In the long term, it may fall to 1.066 level. 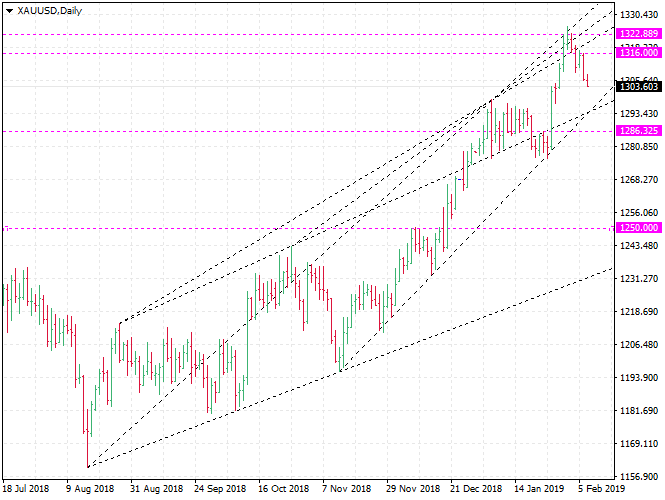 GBPUSD is likely to drop to 1.28, and it wil fluctuate for a while at that level. WTI: There is no change in the crude oil market. The WTI is likely to move in the range of $ 49.5 to $ 55.5. The oil market is very unstable. It is not a good time to trade now.